Matterport has updated its virtual reality offerings to include Google Cardboard, expanded its view catalog with 360-degree outdoor tours and enhanced its 3-D Space tagging feature. Inman Connect San Francisco is kicking off with some news on the tech front. Matterport, 3-D home tour provider and virtual reality pioneer, has been busy. Today the company announced the expansion of its virtual reality offerings to include Google Cardboard, the addition of 360-degree outdoor landscapes and a new 3-D Space tagging feature — all of which aim to give consumers a more complete and immersive home shopping experience. In 2015, Matterport announced a beta virtual reality (VR) program that would allow customers to convert their 3D Spaces for use on the Samsung Gear VR — currently available for $99 — with plans to expand its VR offerings in 2016. 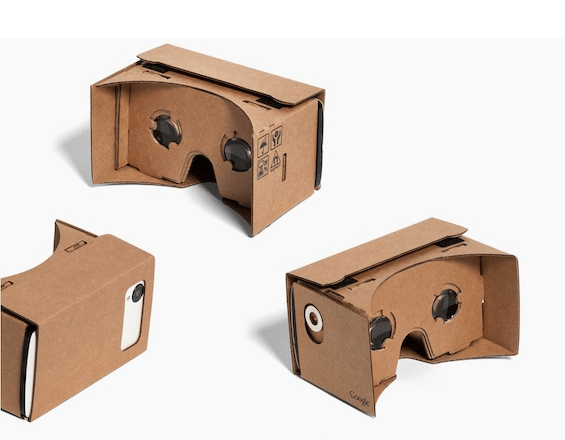 Now, Matterport Spaces can also be visualized on Android’s Google Cardboard, an affordable platform for viewing VR applications. “Buyers, local and remote, can quickly and efficiently experience a host of properties in one sitting, anytime, and from anywhere,” the company said in the announcement. Many modern home shoppers are looking to find properties with functional outdoor space such as kitchens and dining areas, porches and gathering spots. Clients who first and foremost need to envision themselves sipping coffee on the patio will appreciate the attention to a property’s outdoor features. Matterport’s 360° Views supplement a property’s 3-D or virtual reality rendering with sweeping exterior landscape shots. This gives users of the Matterport Pro camera another presentation option for the Spaces they capture. “360° Views adds an unprecedented five viewing options from a single camera,” Matterport said in the announcement. Those options include VR, 3-D, 360°, dollhouse and floor plan views. With different formats packaged together, the company imagines “visitors” taking in the outside of a home before experiencing the interior in 3-D or via virtual reality. Introduced in 2016, Mattertag Posts allow users to highlight and label items within a space. Those tags can now link to external websites, PDFs and other Matterport Spaces to more thoroughly annotate a tour and stitch together the details of a property. Buyers don’t have to leave the tour to learn more about a property or feature, which the company says can help to “further engage and sell the buyer” while providing a clear path to other homes that could pique their interest. Article image credited to A Matterport 3-D camera &#8212; image courtesy of Matterport.